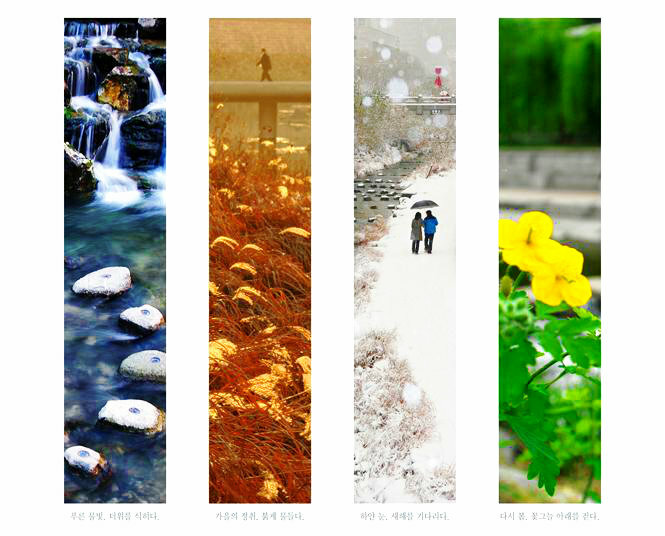 The Cheong Gye Cheon Museum is hosting "Spring, Summer, Fall and Winter at Cheonggyecheon" photo exhibition until November 10, 2013. The exhibition will showcase 7 years of impressive photos taken by the Seoul government since the reopening of the stream in 2006. The exhibition will also feature winning entries from photo competitions throughout the years.